Store and protect up to 20 brushes. 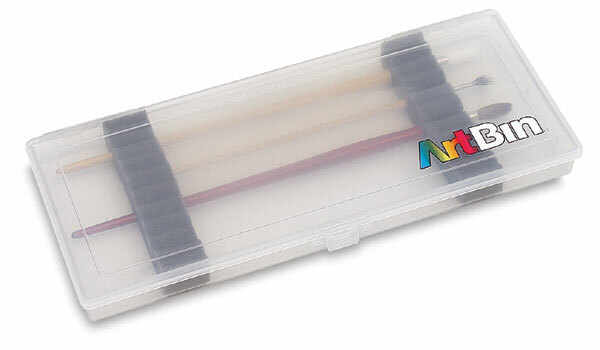 The ArtBin Essentials Brush Box saves delicate and valuable brushes from damage. Foam inserts keep them in place when transporting. Vented sides allow them to dry quickly.